Prime Minister Netanyahu stresses there is an "ideological void" between Likud and Labor, rules out coalition with the left. 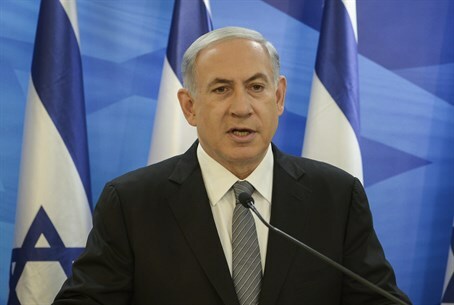 Prime Minister Binyamin Netanyahu declared on Sunday that he will not form a government with the left. In a post on his Facebook page, Netanyahu said that the Jewish Home will be a part of his next coalition and called on the public to ensure that the Likud gets enough seats in order to prevent a leftist government. “I have made clear that I will not form a government with the left-wing parties. There is a huge ideological void between the Likud and Buji, Tzipi and the Labor party’s list of anti-Zionist members,” he said. The comments come hours after Hatnua Chairwoman Tzipi Livni dismissed the possibility of a unity government with Likud and Netanyahu. "I will not be a partner in Netanyahu's government. I will not join a path that is not our path," the former Justice Minister, who did sit with Netanyahu as Hatnua Chairwoman in the 19th Knesset, said. "I will not be a partner to a path that is our path, and I am not a partner to Netanyahu's path, or the path shared by Netanyahu, [Jewish Home Chairman Naftali] Bennett and [Yisrael Beytenu Chairman Avigdor] Liberman," she added. A poll conducted by TNS for Channel One and released on Saturday shows the Likud party at 27 seats, easily surpassing rival Labor-Hatnua at 23.